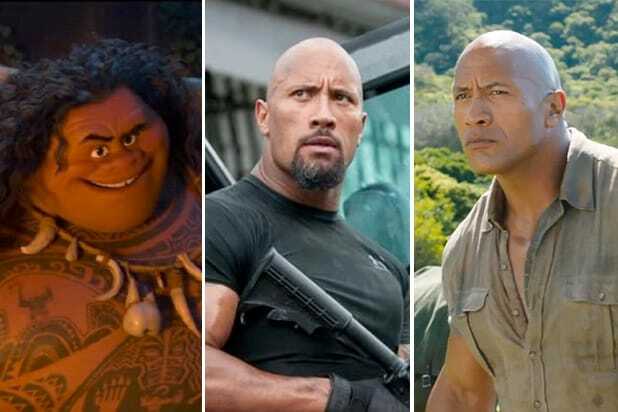 Great word of mouth has pushed New Line’s “Rampage” from a slow start to close to its pre-weekend projection goal, as the Dwayne Johnson-led smash-up is set to debut with $35.7 million from 4,101 screens. That will be enough to push the film past Paramount’s hit horror film “A Quiet Place” for the top spot on this weekend’s charts. Critics were mixed about the “Rampage,” giving it a 51 percent Rotten Tomatoes score. But audiences who went to see the film on Friday night quite enjoyed it, giving it an A- on CinemaScore. TheWrap’s Umberto Gonzalez and Beatrice Verhoeven described “Rampage” as good, popcorn-munching entertainment, and audiences seem to have agreed with families packing Saturday matinees. 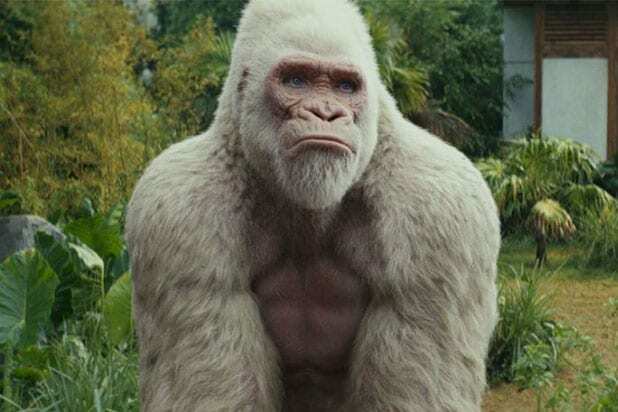 But with a $120 million budget, the profitability of “Rampage” is still up in the air, as box office analysts who spoke with TheWrap agree that the film likely has just two weekends to make its money before Marvel’s “Avengers: Infinity War” gobbles up screens and consumers. Overseas, “Rampage” has made $114.1 million in multiple territories, giving it a $148.6 million worldwide start. China is the top global market for the film with a $55 million launch, while IMAX screens accounted for $10 million worldwide. While “A Quiet Place” won’t repeat as No. 1, Paramount still has a lot to celebrate with director-star John Krasinski’s hit film. This weekend’s nearly $33 million gorss pushes its 10-day total of $100 million against a $17 million budget. The strong word of mouth that pushed the film to a $50 million opening has helped hold its second weekend drop-off to just 34 percent. In third is Universal/Blumhouse’s “Truth Or Dare,” which made $19 million in its opening weekend from 3,029 locations. The film has been received poorly with a B- CinemaScore grade and a 15 percent RT score. But while “A Quiet Place” remains the horror film of choice at the box office, Blumhouse’s microbudget strategy has paid off again as the film only has a $3.5 million production budget and has also beaten pre-weekend projections of a $12-15 million start. Holdovers complete the top five, with Warner Bros.’ “Ready Player One” in fourth with $11 million in its third weekend. Steven Spielberg’s film grossed $33 million overseas this weekend, which should push it cross the $500 million mark this coming week; the current global estimated cume is $474 million. Universal’s comedy “Blockers” is just behind with $10.2 million, giving the $20 million comedy film a 10-day total of $37 million. Outside the top five, “Black Panther” finally fell out of the top ranks with a sixth-place total of $5.3 million in its ninth weekend. Two weekends before “Avengers” hits theaters, the film now has a domestic total of $673.8 million and a global total of $1.31 billion. In seventh is Fox Searchlight’s “Isle of Dogs,” which made $5 million from 1,939 screens in its first weekend in wide release, giving it a total of $18.4 million.